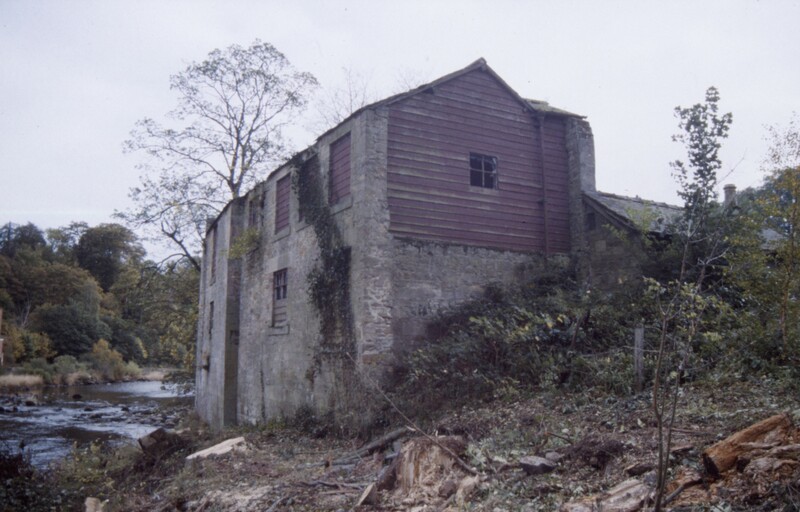 The following list of watermills in Northumberland is not to be seen as a complete list of watermills in the county. Other parts of the north east are given on separate pages. Bamburgh Spindleston Mill NU149334 Waren Burn Corn early C13. Belford Crag Mill NU118348 Belford Burn Corn? 1580? Cornhill-on-Tweed Cornhill Mill NT857391 Corn 1233? Etal Etal Mill NT925395 River Till Corn (Fulling?) 1250? Great Tosson Tosson Woollen Mill NU036010 Routing Burn Woollen 1622? Hethpool Hethpool Mill NT896279 College Burn Corn 1212? Hexham Newbiggin NY944607 Letah Burn Corn, Farm Use, Saw 1608? Mindrum Mindrum Mill NT850336 Bowmont Water Corn 1225? Otterburn Otterburn Tweed Mill NY888928 River Rede Corn, Tweed, Retail/museum 1245? Redesmouth Heugh Mill NY869802 River North Tyne Corn, Saw 1307? Seaton Sluice Hartley Mill NZ334753 Seaton Burn Corn 1519? Throckley Throckley Mill NZ158678 Dewley Burn Corn 1805? Wark Ramshaw Mill NY844767 Warks Burn Corn 1263/4? I found the talk at the NDFHS in Newcastle today very informative and I was delighted to hear of this website. It is interesting to see all the mills listed. My husband’s family were farmers/millers in the 1800s and he was brought up at Rock Mill, Alnwick which had become a farm though in the 1950s-60s some of the old mill buildings were still visible and the mill pond was still there. Below is some of our family information from the census which give details of the mills they worked. In the 1911 census MARGARET THOMAS (Thompson)SHELL (age 30) is listed as ‘Farm daughter doing work’ at Abberwick Mill for JAMES SHELL (60) Miller/Farmer employer and his wife Sarah Ann (57) along with their son, John (32), Farmer working on farm, and their daughter, Rachel Annie (20), Farmer’s daughter & worker. Also listed is Samuel Scott, a Carter at ‘bosses Mill’ born Whittingham. In the 1901 census for Abberwick James Shell (50) born Edlingham in 1851 is listed as a Farmer/Miller along with his wife, Sarah Ann (46) born Marton, Yorkshire in 1855 and their family: son John (22) born 1879, listed as farmer’s son & farmworker, MARGARET (20) born 1881, Mary Isabella (15) born 1886, and Rachel Annie [Daisy] (10) born 1891. There is also a servant, Mansfield Arries (17) born in 1884 at Doddington, listed as ordinary agricultural labourer. Abberwick parish consists of Abberwick village, Abberwick Mill, Moor Laws, Broom Hill, Broom Hill Cottage and Glen Aln. Is this additional to Thirlwall Mill in Gilsland? This was listed under the wrong burn but correct grid reference. The burn name has now been corrected. Thanks for raising it as this is how things get corrected.